Are you having a destination wedding in Ireland and would like to give your guests a little something? 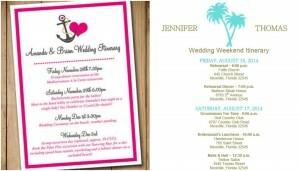 Today’s blog is all about How To Create Your Destination Wedding Welcome Bags. A simple canvas tote bag is not just great for your guests’ day trips, but also for putting in groceries or gym essentials after your wedding. 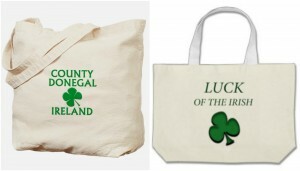 To personalise the bag, put the location,your names and a motif typical for the destination of your wedding on it – For Ireland a shamrock is quite apt, is nice to look at and might even bring your guests some luck. Put some soft drinks / water into the welcome bags to keep your guests hydrated and saves them having to run to the local or hotel shop. Remember your hotel may also provide water in guest rooms so alternative soft drinks might be prudent. 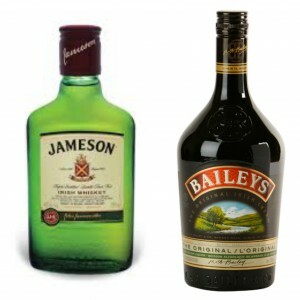 Add an Irish twist to the welcome bag with a small bottle of Irish whiskey or Bailey’s cream. As the Irish weather can be variable to help your guests to brave the elements you might want to add a rain poncho and sun cream to your welcome bags. Essential to include key information in your welcome bags. This should include an itinerary for the wedding day and the activities days prior/post wedding. They can be designed in the same suite and style as the rest of your stationery, including using your monogram and other characteristics of your main stationery. Very helpful to include emergency phone numbers, as well as the dress code for the activities, along with restaurants and shops close by. 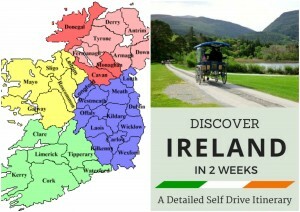 Ireland has many things worth seeing, so why not add a guidebook and map to each bag to help your guests enjoy the area. Highlight some activities that shouldn’t be missed and recommend good restaurants, in case your guests are not joining you for every meal. Help your guests with a special hangover kit including a bottle of water, painkillers and a breakfast reminder. They will no longer regret the last glass of champagne and are going to enjoy the rest of the wedding festivities with you. 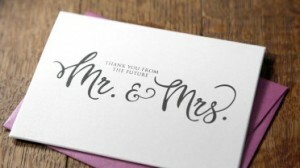 Adding a ‘Thank You’ note gives you the opportunity to thank your guests and welcome them to your very special occasion. If handwritten, it shows you truly care about them and how much you appreciate them being with you to celebrate your wedding. While a postcard of the area is a good souvenir for them to take home. Categories: Destination Wedding Ireland, Inspirational Ideas, Ireland wedding, Stress-Free Planning, Wedding in Ireland, and Wedding Planner. Tags: destination wedding, ideas, ireland, Wedding in Ireland, wedding planner, and welcome bags.